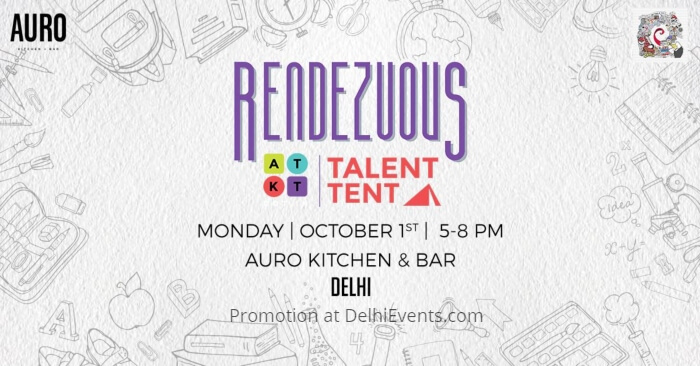 PULSE - All India Institute of Medical Sciences 2018, Auro Kitchen & Bar, and ATKT.in are collaborating to host a one-of-its-kind Talent Tent for the musician, poet, dancer, or comedian in you. All you have to be is a college-going student, under the age of 25, and have the ability to take the stage by storm. One of the biggest festivals in Delhi, Pulse 2018 wants to ensure you've got the right stage before all the competitions begin. This Talent Tent is the perfect place to meet college-going artists like you, do what you love, and also get featured to be viewed (and appreciated) by thousands of people through ATKT.in.